The Children of the Demmed, the incendiary Obama Transformationists of tomorrow, are feeling their oats. 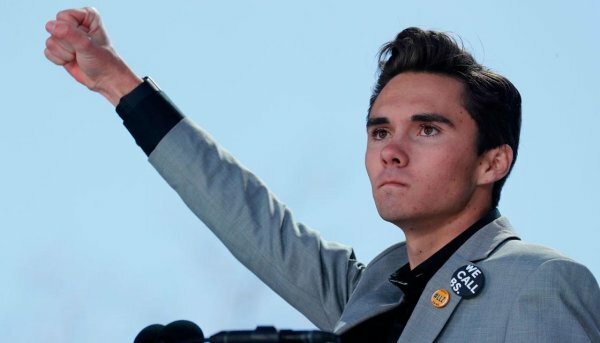 Making the most of his 15 minutes of media celebrity thanks to having the MSM and Big Hollywood eating out of his hand, David “Media” Hogg (similarly dubbed “Camera” by Rush Limbaugh) is enjoying the added giddy power of getting a craven chunk of corporate America in his corner. The target of his rage is not the mentally ill assassin or incompetent law enforcement or the absence of responsible adults at the ready to dispatch assailants. It is those inanimate, fearsome objects breathlessly referred to as Guns. How coincidentally copacetic it all is for those liberty-hating Leftists, enthusiastically encouraging, financing and coaching him, all in service to dispatching the Second Amendment. And what a sobering demonstration of the consequences of a “child-centric” society. Is there any better argument for the restoration of adulthood? 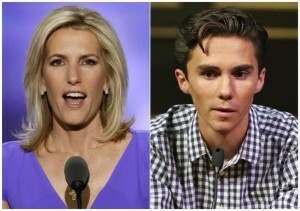 Conservative commentator Laura Ingraham has made her first mistake by taunting the budding agitprop Resistance star on a personal level for his college rejections rather than diligently staying on topic and addressing the larger issue of our most basic rights being undermined, specifically gun control. 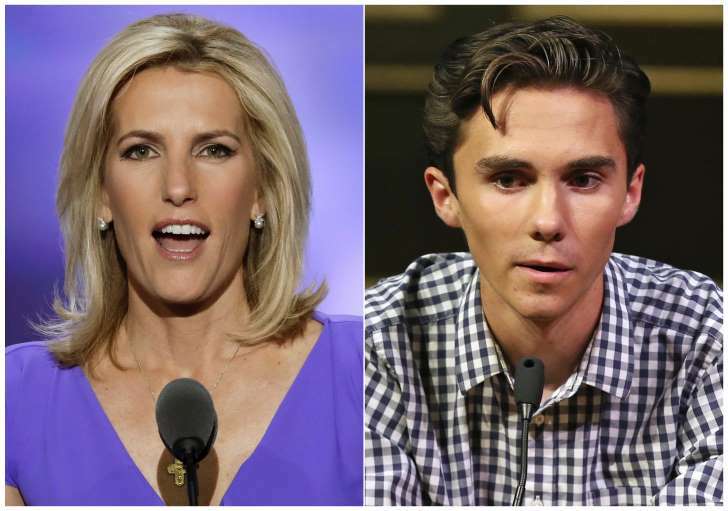 In that vein, Ingraham would have been better served responding to Hogg’s sister snottily telling her adult opponents to “grow up!” Perhaps a few simple words in response about the challenges of real adulthood vs. those of childhood-competing in a ruthless world, earning a living, supporting dependents, taking full responsibility for one’s words & actions-would have brought an end to the whole discussion in a realistic, productive manner. Now Ingraham (and any critic of The Children) finds herself the vulnerable target of an enraged adolescent’s fury as cowardly, sentimental corporate sponsors tremble at The Children’s media power and withdraw their sponsorship of her Fox News TV program. The real tactical error here is Ingraham’s abrupt backpedalling: alternately taunting, then suddenly complimenting Hogg in rather insincere, patronizing fashion on his grade point average. The smell of fresh blood is in the water. Money talks, and Hogg and his canny handlers are exultant, omnipotent. The issue is the preservation of our most basic Constitutional rights, one of which is a private citizen’s right to self-protection, deliberately lost in the hysteria whipped up in the aftermath of a school shooting. The “Progressive” agenda is never about progress but rather the transfer of power from the individual to an Elite, Big Government, the Nanny State, Big Brother & Sister, Those Who Know Better And Must Be Obeyed. The Obama administration and the proposed Clinton era that was to follow has been and will always be about this and nothing else. Now, using these teenagers as the perfect human shields against criticism of their policies, the Left finds itself suddenly unchallenged, invulnerable, uninhibited, unstoppable, its face and mouthpiece that of a righteously enraged, lovably innocent, morally unimpeachable young crusader on the barricades. Joan of Arc could have only dreamed of this sort of PR packaging. These nervous kids, lionized as “innocent prophets,” “forces for good” are a godsend for the hard Left and its legions of Useful Idiots determined to turn America into Cuba or at the very least a disarmed, infantilized Sweden or Norway. The goal is a nation of passive sheep, ripe for conquest. 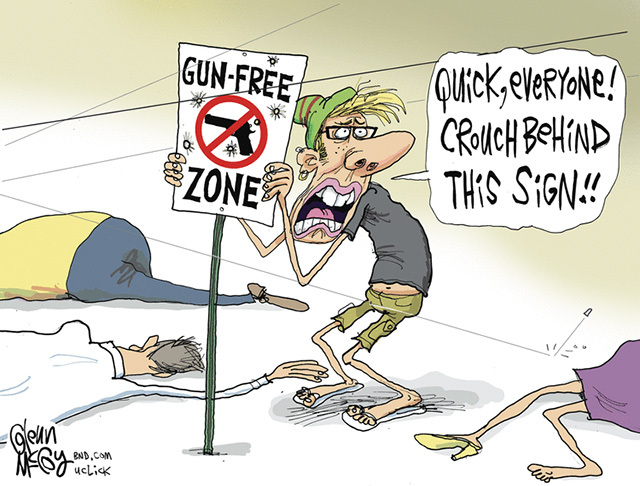 Think of those dozens of slaughtered young Norwegians on that island a few years back in that wealthy, healthy, beautiful, blonde gun-free zone. Think of the Parkland victims themselves. How insanely ironic that the logical consequence of this perverse Children’s Gun Control Crusade, responsible adults legally disarmed and helpless to defend the defenseless, is…dead children.